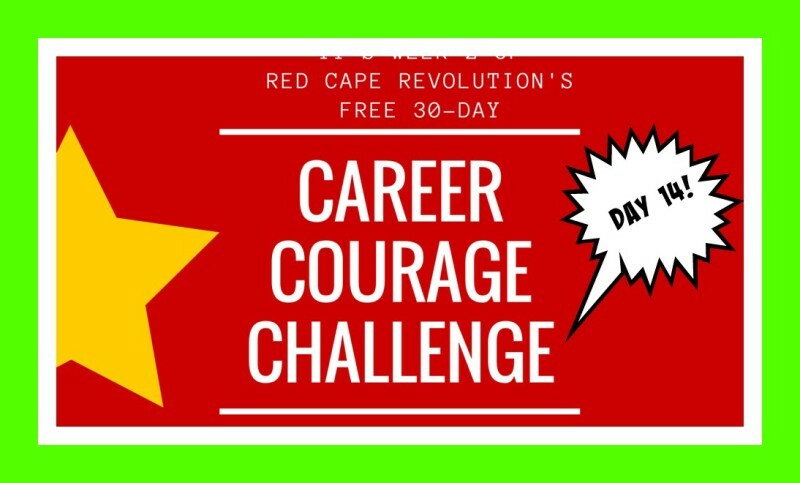 Two weeks into our Career Courage Challenge–are you feeling your growing bravery muscles? Tell me your stories and experiences in the Comments at the end of this article, or on Facebook and LinkedIn, too. And remember, I’ve been taking the challenges along with you–just check out the Comments. Did you do yesterday’s challenge, to Stop Doing Something? Good. Now add one more thing to that list. Yes, pick another thing to stop doing. Because for most of us, we’re so busy doing what we think we should do that we don’t have time to do the things we really long to do. The things we’d do if we had the courage. Which now, two weeks into our challenge, you do.